Generally speaking, probate is only necessary when a person dies leaving property in his or her own name (such as a house titled only in the name of the decedent or a bank account that is only in the name of the decedent) or having rights to receive property (such as a wrongful death claim or a debt owed to the decedent). If you have recently lost a loved one and there is property that needs to be disbursed, the attorneys at Davison Legal Associates, P.C. can help you navigate through the probate process to administer the estate. The process that you will need to follow will depend on whether or not the deceased person had a will. If you have been named in the decedent’s will as a personal representative of the estate of a loved one, Davison Legal Associates, P.C. can help you complete the requirements of the probate process, whether you use the simplified or informal probate process allowed in Michigan or you take the estate through supervised or formal probate. Our office will handle all matters regarding the settlement of the estate, including: preparation of an inventory of the assets, payment of all final debts of the estate, assistance with distribution of the assets in accordance with the terms of the will. If the will is contested or there are other disputes regarding the estate, we will act as your advocate in any probate litigation. If your loved one died without a will, Davison Legal Associates, P.C. can help you navigate the probate process to open an estate and request that the court appoint a personal representative for the estate. When a person dies without a will there is an order of priority established by the court as to who would be a suitable Personal Representative. It is roughly: surviving spouse (if any), then children, then siblings, etc. However, the family can "agree" on any party, as long as they sign the necessary releases. 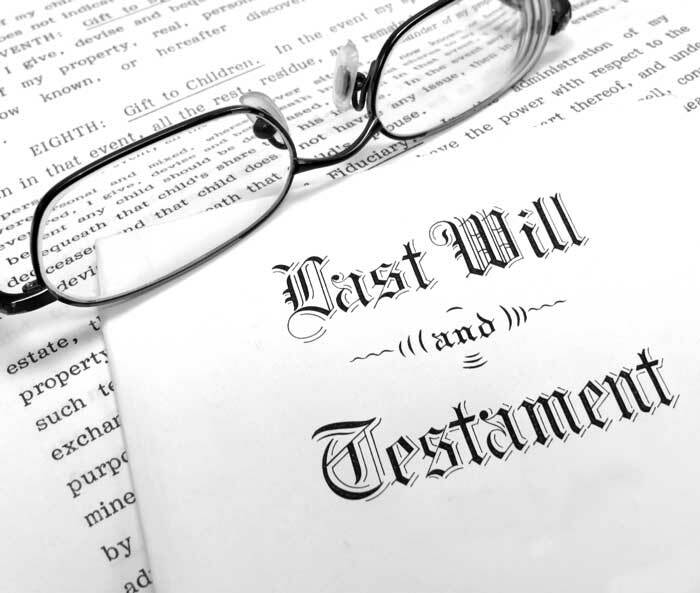 In addition, if there is not a will, the property of the deceased must be distributed in accordance with the provisions of the state’s "intestate succession" law. There is a very specific "order" in which property will be distributed to a person's family, if a person dies without a will. It is roughly: surviving spouse (if any), then children, then siblings, etc. Note that non-related individuals (live-in companions, "significant others," caretakers, non-adopted step-children) have no rights of intestate inheritance from a deceased under the law of Michigan. The attorneys at Davison Legal Associates, P.C. can analyze and explain to you how the laws of "intestate" inheritance will be applied in your specific situation.